As you’ve probably heard by now, Facebook rolled out its new News Feed yesterday, which changed some of the functional navigation of users’ pages, including access to privacy settings. You can click here if you want to get on the waiting list. 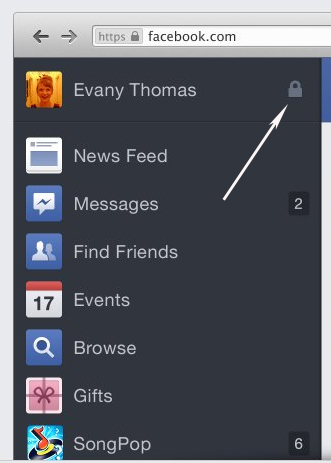 In old News Feed layout, privacy settings were located in the upper right hand corner of the window. However, with the new look, users can find them in the menu in the left hand corner of the screen, represented by a lock logo next to the user’s name. Since Facebook is now rolling out its Graph Search feature, a search engine within the site that will be able to find users based on things like tags and status content, there’s no better time than now to adjust your privacy settings if you haven’t already done so. In the privacy drop down menu in the new Facebook menu, you can see and manage how your statuses and content are viewed by Facebook’s Activity log, the pool of information that Graph Search draws from. Both the new News Feed and Graph Search are currently being rolled out, and it may be a few weeks before you see them, but you can still take steps now to ensure that your information is fully protected on Facebook.